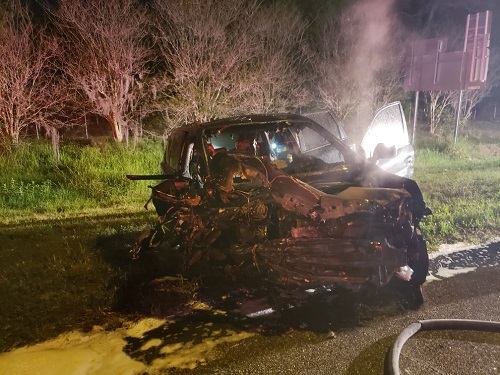 The other driver was seriously injured, FHP troopers said. 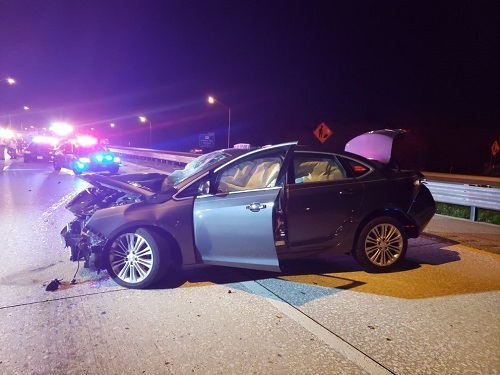 ST. PETERSBURG – A St. Petersburg woman was arrested this morning (March 22) after a wrong-way crash on I-275 that seriously injured another woman, the Florida Highway Patrol said. 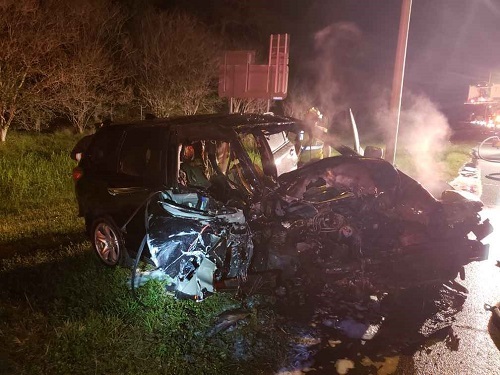 Priscilla Ann Mouzon, 24, of Clearwater, the other driver, was taken to St. Anthony’s Hospital in serious condition. Jessica Leigh Murphy, 37, of St. Petersburg, was taken to Bayfront Health St. Petersburg with minor injuries. Murphy was arrested, then charged with one count each of DUI Causing Serious Bodily Injury and Reckless Driving with Serious Bodily Injury. 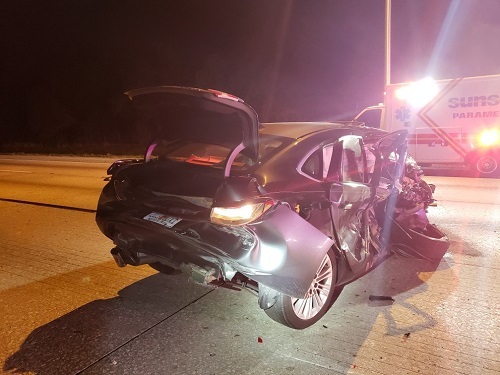 The crash happened about 3:17 a.m. on southbound I-275 near the 26.5 Mile Post south of Gandy Boulevard in Pinellas County. 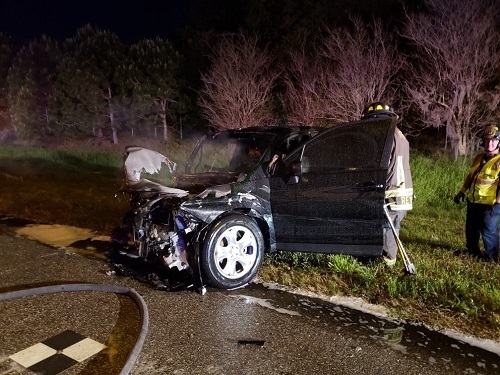 Troopers said Murphy was driving a 2017 Subaru Forester north in the inside southbound lanes of I-275 when she collided head-on with the 2013 Buick Verano that Mouzon was driving. After the impact, the Subaru burst into flames. The crash closed the southbound lanes of I-275 until about 4:45 a.m. Troopers said it’s unclear when Murphy began driving the wrong way. 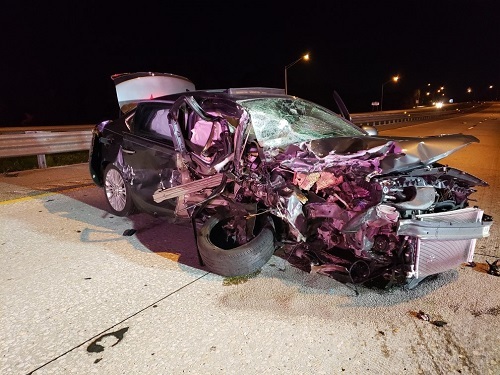 Photos of vehicle courtesy of the Florida Highway Patrol.